Gain an understanding of the IE experience by reading what a current International MBA student has to say about IE after having become part of its family in November 2012. Six weeks ago I was sitting on the 28th floor of a skyscraper in downtown Manhattan, my emotions fluctuating between anxious excitement, self-doubt, and genuine happiness. It was my last day of work and my flight to Madrid, to IE Business School, was just days away. That day feels like a distant memory. I hope these blog posts will provide helpful insight into the IE IMBA Program for prospective students, while also offering a glimpse into daily life in Madrid. By way of background, I’m a 30yr old American male who previously worked as a corporate attorney focusing on mergers and acquisitions, and I’m now seeking to transition into a strategy/business development role. The pre-program Quantitative Analysis course commences and a sense of exhilaration passes through me as I realize that I’m a student again. The material is difficult for me (I was a lawyer for a reason! ), but it feels good to be uncomfortable. After class ends at 3pm, I head over to the bank to set up an account. As I pass one empty storefront after another, I realize I’m smack dab in the middle of siesta and the banks are closed for the day. I figure the locals know best, so I stop for some croquetas and head home for a nap. 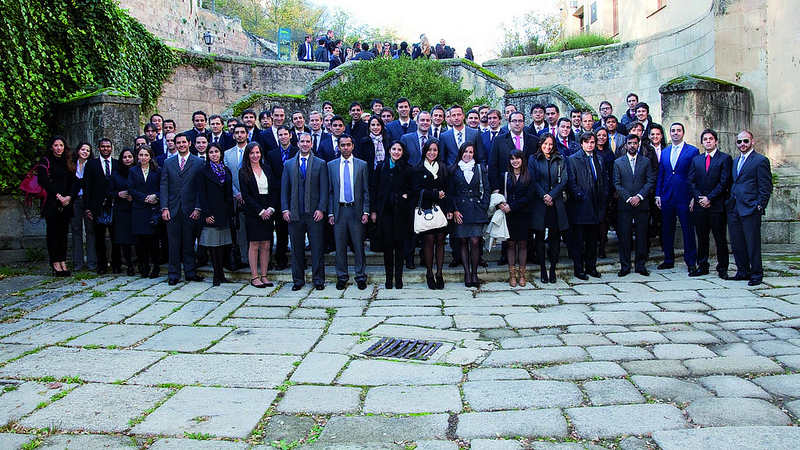 Orientation commences at the Segovia campus, a fantastic experience and ideal setting to meet my new classmates. Throughout the week we participate in workshops, seminars, and information sessions to acclimate us to the program and city. It’s a bit like testing the water with our toes before jumping into the deep end, a much appreciated transition period. LAUNCH begins and I’m inspired. 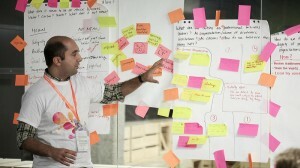 The lineup of speakers is quite impressive and the entire MBA group is pushing creative and analytical boundaries. Over the course of the week we’ve pitched two imaginary products, worked on teambuilding with a professional basketball player, and deduced the population of Segovia during the Roman Empire knowing only the width of the aqueduct. Tapas and wine at Biotza with seven other students from my LAUNCH module. We discuss the merits of the current Venezuelan, Brazilian, and Bolivian leadership, potential travel destinations for the winter holiday, and of course, the Atletico Madrid v. Real Madrid game taking place the next day. As I conclude my first post. I’d like to explain why I chose IE Business School. First, I believe that the majority of US business schools narrowly emphasize investment banking and consulting to the detriment of students desiring other professional destinations. While IE still provides ample opportunity to enter these fields (my inbox is already crowded with internship opportunities from Credit Suisse, JP Morgan, E.On and others), the entrepreneurial spirit pervading the community provides access to multinational corporations, venture-backed start-ups, and a host of management positions within a multitude of industries. Secondly, IE is diverse and life is short. For me, the personal development afforded by a year in Madrid surrounded by students from 84 different countries couldn’t be compared to staying in the U.S., spending time at the same places with the same people. I’ve been here less than a month, but I am confident I made the right choice.